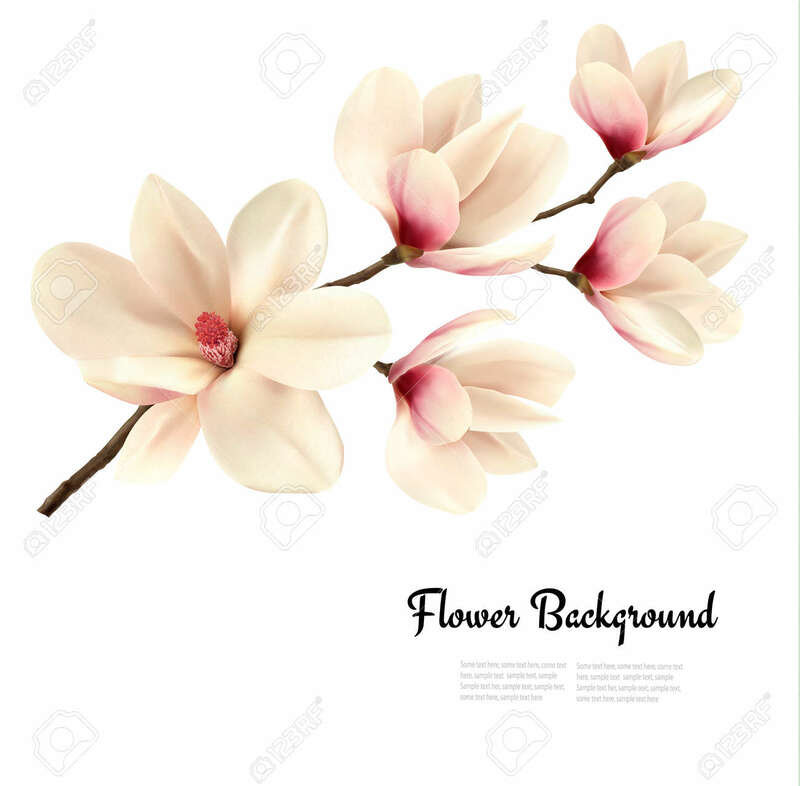 Flower Background With Blossom Branch Of White Magnolia. Vector Royalty Free Cliparts, Vectors, And Stock Illustration. Image 52440181.